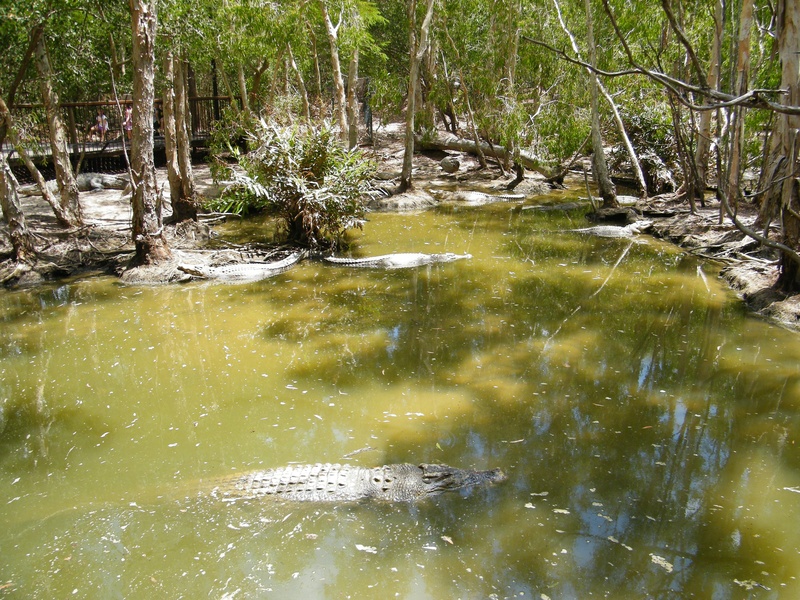 Hartley's Crocodile Adventures brings you to a crocodile paradise about 40 minutes north of Cairns. Walk along 2.1 km (1.3 mi) of timber boardwalks and pathways through woodlands and rainforest while spotting crocodiles, turtles, lizards, tropical birds, and more. 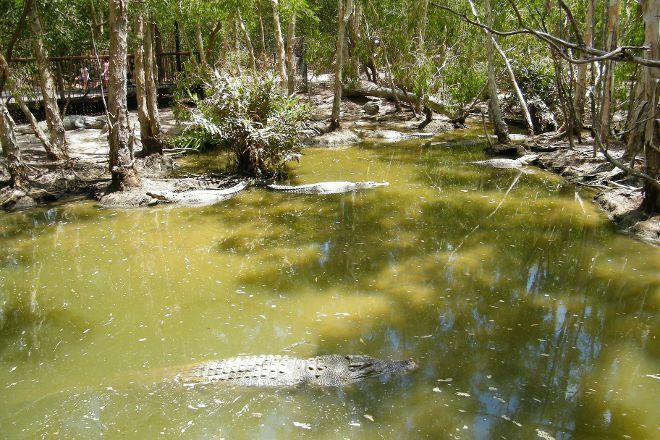 Take a boat cruise of Hartley's Lagoon, the best area to observe crocodiles. Listen to a presentation to learn about Australian wildlife, including snakes, beautiful cassowary birds, and koalas. 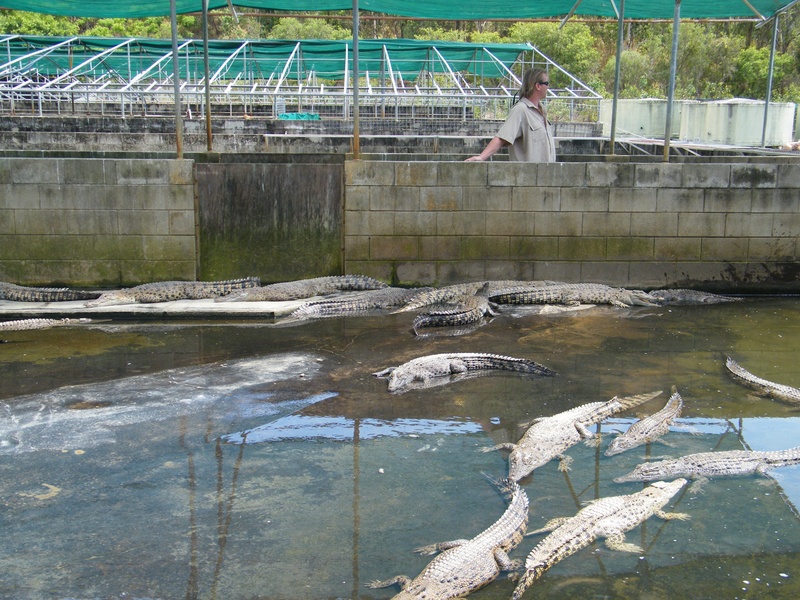 If you get hungry watching the crocodiles feed, stop in at Lilies Restaurant for a snack. 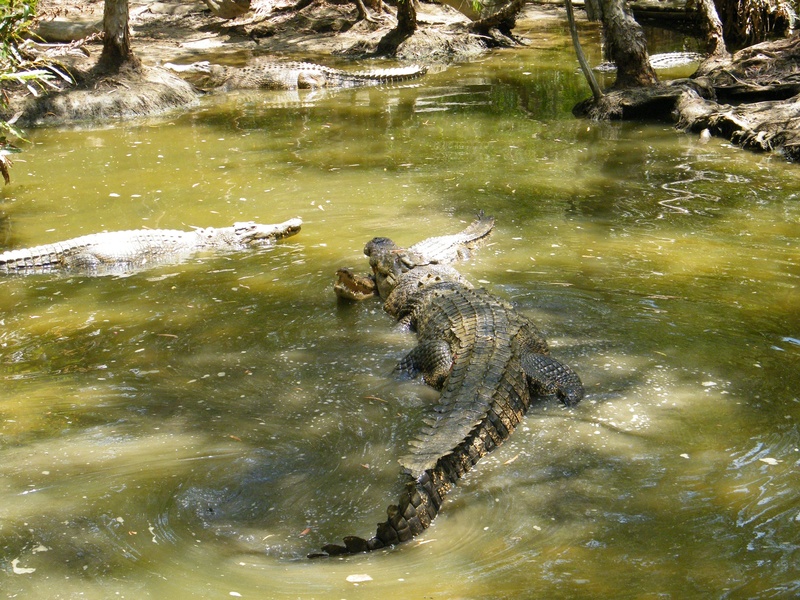 Plan your visit to Hartley's Crocodile Adventures and a wealth of other attractions, well-known and undiscovered, using our Palm Cove tour planner. Awesome well worth the entry price. Take a packed lunch if you don't want fried food or packaged sandwiches. Photo guy takes photos with your phone or camera and their professional imaging as well. Great service. Warm days, so dress light and bring a hat. Wow. What an incredible experience. It is the most interactive zoo i have ever been to. The best part was the free lagoon tour where they fed the crocodiles while boating you around. Phenomenal staff and great day. Plan to spend at least four hours here since you will want to attend the croc attack and lagoon tour and everything in between. Spend half of the day there .. lovely small farm but just perfect for a day out with family or friends .. and lucky the weather was forecast as we were able to enjoy walking around the farm and check out all the animals there..we also went on the tour boat.. it was very exciting to see the crocodile in actions as they were getting fed.. just awesome .. it was also very educational .. gotta check it out if you're in Cairns !! Don't miss out the shows and tour boat ..
Fabulous place to visit with family and friends. Spend almost a day there and its all worth. Lots of informative shows throughout the day. Very well maintained and organized. Staff were very nice and friendly. Hartley's Crocodile Adventure is definitely a crowd pleaser and I would happily go again next time I'm in Cairns. The layout of the park was well thought out and easy to navigate. All facilities were clean and in good condition. The variety of activities is what we loved, they had different shows that were not only interesting but informative, a free river boat cruise, tours of the Crocodile farm and more! All staff were friendly, helpful and very knowledgeable. The park had a busy Cafe where you could try Crocodile meat, but if you're on a budget there were lots of beautiful benches and tables around the park for you to sit and bring your own lunch. I would definitely recommend giving yourself the whole day here, so you can really enjoy it and take your time through the different park areas and shows. Every day, we help thousands of travelers plan great vacations. Here are some tips on how to use your Listing Page to attract more travelers to your business - Hartley's Crocodile Adventures. Promote your permanent link - https://www.inspirock.com/australia/palm-cove/hartleys-crocodile-adventures-a19749053 - on your website, your blog, and social media. When a traveler builds a plan from this page, the itinerary automatically includes Hartley's Crocodile Adventures. This is a great way for travelers looking for a great vacation in your city or country to also experience Hartley's Crocodile Adventures. Promoting your link also lets your audience know that you are featured on a rapidly growing travel site. In addition, the more this page is used, the more we will promote Hartley's Crocodile Adventures to other Inspirock users. For best results, use the customized Trip Planning Widget for Hartley's Crocodile Adventures on your website. It has all the advantages mentioned above, plus users to your site can conveniently access it directly on your site. Visitors to your site will appreciate you offering them help with planning their vacation. Setting this up takes just a few minutes - Click here for instructions.